Just off the Iris system and running a ST Hub 3. I have my Iris Thermostat working (minimally) but was wondering what others would recommend for a newer Wifi thermostat to replace the Iris. I’ve seen Ecobee, Honeywell, Wink, etc. I don’t believe there is a wink brand thermostat, and if there is, it’s likely a rebranded Device like the iris was. 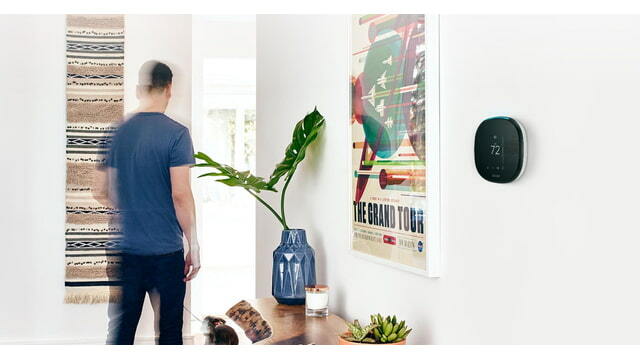 I think the most popular thermostats in the community are ecobee, nest, various Honeywell models, and one of the CT 100 series zwave thermostats. Personally, we have an ecobee lite and like it very much. It works well with HomeKit, Alexa, and smartthings, and we did get a $50 rebate from our utility company when we bought it. We particularly liked their second sensor option because we have one of three bedrooms in the house which is always colder than the others and that helped us balance things a lot. But they are all pretty good choices, just depends on the specific features and budget you have. The ecobee4 smart thermostat with built-in Alexa and support for Apple HomeKit is on sale for $175 today. I love my Honeywell (wifi, touchscreen). Stock installation integrates well with SmartThings, Alexa, and webcore. Were you able to set up multiple daily temperature changes easily? I’m stuck now with custom automations and scenes which is NOT easy. Yes, with the Honeywell it is easy. And it has a Guide mode that will guide you through the settings if you desire. I don’t do this, but I could easily use webcore to make frequent daily adjustments based on all kinds of criteria. Thanks for the info. What Honeywell model do you have?? Also, what is ‘webcore’ that you mention. Personally, I have a CT-100 - which is Z-Wave. It’s a pretty dumb thermostat when compared to some of the others but since we have the SmartThings hub, we can make it pretty smart at a much lower cost. Mine runs a day/night schedule; monitors the temperature to ensure it stays within appropriate temperature bounds based on time of day and HVAC mode; it changes the heat/cool presets based on my wife’s and my distance from home and the presets are further modified based on the HVAC season. I know that the programmable and more intelligent thermostats can do even more, but this one does everything I want it to do (with help from SmartThings and webCoRE) at a much lower cost. Keep in mind that most (all?) thermostat interfaces and SmartApps are cloud-to-cloud. Honeywells, which I have, use the Honeywell Total Connect Comfort (TCC) web service for their app and to integrate with the SmartThings web services. The TCC service reliability hasn’t been spectacular lately. I’m not comfortable having something as critical as HVAC dependent on multiple clouds for day-to-day operation. Most modern thermostats can be programmed for at least two daily temperature changes. And ones like Scones and Nest also can use motion sensors to adjust based on presence. The Honeywell VisionPro 8000 thermostats I have don’t have presence sensors but can be programmed for 4 time periods per day. They can also be put into vacation mode but not via TCC. Well in the last 3 years of usage on my Honeywell Wifi 7days, their cloud failed only 1 time versus multiple times on ST.
You can always use the totalconnect orignal app in case TCC in ST would fail, that’s a good redundancy. In fact I bought 2 times my thermostat as I thought I was moving abroad and finally cancelled that. For a less than 70$ this is unbeatable. Although automations with my CT-100 haven’t ever completely failed in the few years that I’ve been using it, it has faltered every so often (mitigated below), so I’m sure it can happen. I also don’t think the CT-10x’s are cloud based anyway. However, since all I’m really doing with the several HVAC automations that I have running (based on time, season, thermostat mode, home, away and vacation modes as well as distance from home) is changing setpoints, home modes and periodically running the recirculation fan based on other restrictions. So, if a setpoint doesn’t change or a fan doesn’t run when I programmed it to, the worst that can happen is that it might be a bit cooler or warmer or the air is a bit more stagnant than I expected it to be. The thermostat will always keep its last setpoint setting. It wouldn’t just turn off unless the thermostat itself physically failed - nothing to do with the cloud. So, the cloud aspect is not introducing a critical issue. I further mitigate any potential inconvenience by having the automation (webCoRE) change and then test the thermostat to ensure that the change actually took place - up to five times if needed. If it takes more than one attempt for success (it does happen occasionally), I’m always notified. Taken as a whole, my HVAC automations and thermostat have never failed. If it ever did, I’d know it - and even then, it’s not a critical issue. Honeywell cloud had extended maintenance from January or February thru March. I had at least half a dozen outages of 2 hours or more during that period. In addition I’ve had about that many instances of it reporting that one of my three thermostats was offline. If the Honeywell cloud is down, the TCC app is also down. Manual adjustment of the thermostats is, of course, possible but only if you’re at the property. I’m mostly happy with my Honeywell thermostats. I would have preferred Ecobees but the HVAC contractor for the house (newly built last winter/spring) said he’d void the warranty on my heat pump system if I installed them.